Worried about sticking to your fitness routine this winter? 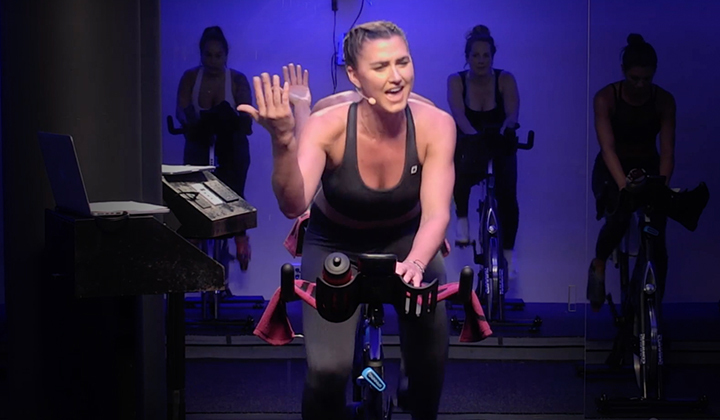 Spinning® Ambassador and Level 3 Instructor Rinie Marin takes us through her strategies for staying fit and fighting off tempting food this holiday season. It’s officially the holiday season, one of the most wonderful times of the year! For many of us, however, the holidays also bring about feelings of stress. There are tons of reasons why the holidays can be taxing, but one reason I hear most often from my clients is the challenge of looking and feeling healthy throughout two whole months of celebration and food. But I have GREAT news for you; there are SO many ways you can achieve your fitness foals and enjoy the holidays at the same time! Balance: Yes, the holidays are coming, and there will be parties, reunions, and more… but there won’t be a party every single day! When you are not attending a social function, try to focus in eating as healthy as possible. Don’t let overindulging at a holiday celebration snowball into unhealthy eating throughout the whole season. Instead, try to plan out your healthy meals between your scheduled get-togethers. This will help ensure that you’re staying healthy through the season! Sweat: I know… you want to enjoy every single moment of the holidays. We all do! And sometimes the weather doesn’t cooperate with our fitness plan. But try to stick to a regular fitness routine. The good news is that tons of Spinning ® studios have holiday themed workouts (and stay tuned for live coverage of my Spinning ® Christmas Party on December 12), which is a great way to enjoy the season with friends and family and get your workouts in! Alcohol: You’re likely to find some delicious seasonal alcoholic beverages at many of your holiday gatherings. Eggnog, champagne, mulled wine, pumpkin-spice flavored everything! The list goes on. Unless you avoid alcohol altogether, most of these specialty drinks are FULL of sugar. If you want to stay healthy and enjoy the holidays at the same time, have just one of these special seasonal drinks, then switch to something without all of the added sugar, like water or tea. Dessert: Of course, desserts are the most delicious part of the holidays. You really can enjoy the most wonderful time of the year without goring on them. Pick your absolute favorite dessert and have just ONE serving of it. This will keep you from having a slice of pecan, apple and pumpkin pie if all you were really craving was pumpkin pie. Now you can add that tiny scoop of vanilla ice cream without all of the guilt! Pressure: I’m from Latin America, and my family ALWAYS says that I need to eat more. Add in the holidays and home cooked treats made from each and every member of the family, and there’s even more pressure to eat more and try some of everything! Remember that whatever grandparents, uncles, nephews, friends, and neighbors say… eat what is good and right for you. Never make yourself uncomfortable by trying to please everyone. There are lots of graceful ways to say no to more food. Practice a few before heading to your next family gathering. Last but not least, enjoy yourself! Use some of these recommendations and see how they work for you. It really is possible to look and feel great throughout the holidays! We hope you have a wonderful time this holiday season! 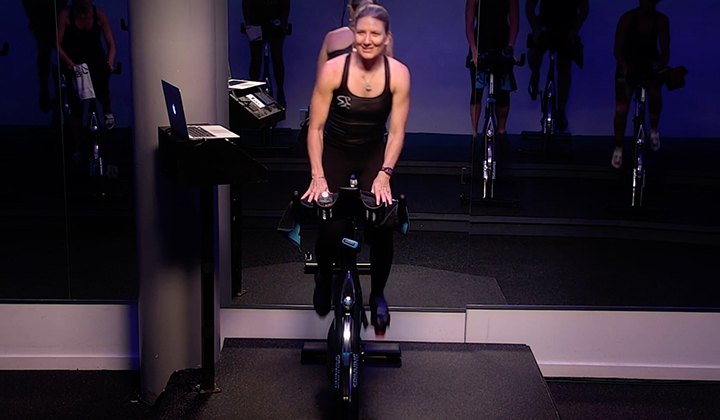 Share your celebrations or winter fitness tips with the Spinning® community on Facebook and Instagram. 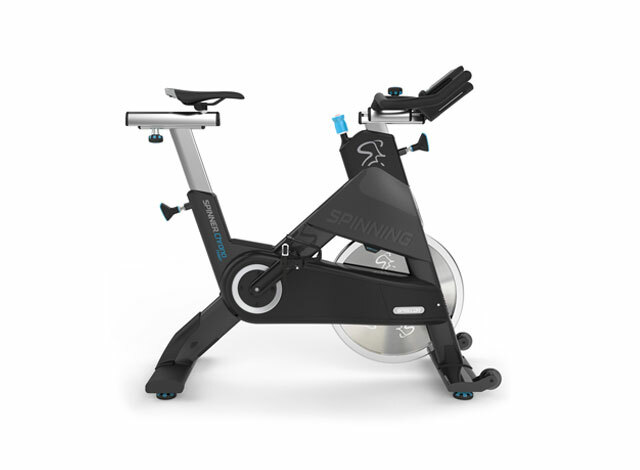 ¡Hola comunidad de Spinning®! ¡Es oficialmente la temporada de fiestas, uno de los momentos más maravillosos del año! Para muchos de nosotros, sin embargo, las festividades también provocan sentimientos de estrés. Hay muchas razones por las que las festividades pueden ser estresantes, pero una de las razones que escucho con más frecuencia de mis clientes, en las que me voy a centrar hoy, es el desafío de verse y sentirse saludable durante dos meses completos de celebración y comida. Balance: Sí, se acercan los días festivos, y habrá fiestas, reuniones y más ... ¡pero no habrá una fiesta todos los días! Cuando no estés en una reunión social, trata de concentrarte en comer lo más saludablemente posible. No permitas que un “antojo" en una fiesta se convierta en una bola de nieve para comer de manera poco saludable durante toda la temporada. Sudor: Lo sé ... quieres disfrutar cada momento de las festividades. ¡Todos lo hacemos! Pero trata de seguir una rutina de ejercicios. 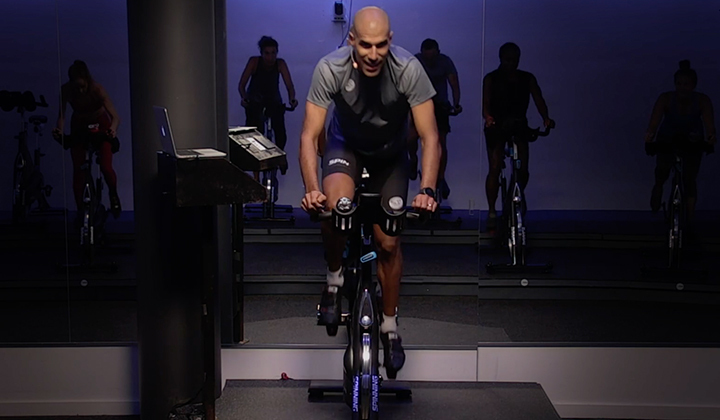 La buena noticia es que un montón de estudios de Spinning® que tienen entrenamientos temáticos en días festivos (sugerencia: ¡Esta atento para la cobertura en vivo de mi Fiesta de Navidad de Spinning® el 13 de Diciembre), que es una excelente manera de disfrutar la temporada con amigos y familiares y realizar tu entrenamiento! Alcohol: es probable que encuentres algunas deliciosas bebidas alcohólicas de temporada en muchas de tus fiestas. Ponche crema, champaña, vinos, bebidas con sabor a calabaza... ¡todo! Pero seamos honestos, a menos que evites el alcohol por completo, la mayoría de estas bebidas especiales están LLENAS de azúcar. Si desea mantenerte saludable y disfrutar de las festividades al mismo tiempo ... toma solo una de estas bebidas especiales de temporada y luego cambia ha algo sin todo el azúcar agregado. Presión: Soy de América Latina y mi familia SIEMPRE dice que necesito comer MÁS. ¡Agrega los días festivos y los dulces caseros hechos por cada uno de los miembros de la familia, y hay aún más presión para comer más y probar algo de todo! Olvida todo lo que digan los abuelos, los tíos, los sobrinos, los amigos y los vecinos ... come lo que sea bueno y correcto para ti. Nunca te sientas incómodo tratando de complacer a todos. Hay muchas maneras elegantes de decir no educadamente. Practica unos cuantos antes de ir a tu próxima fiesta. Por último, pero no menos importante, ¡diviértete! Usa algunas de estas recomendaciones y te dará cuenta de cómo funcionaran para ti. Realmente es posible verse y sentirse bien durante las festividades. ¡FELICES FIESTAS! Comparte tus celebraciones o consejos de acondicionamiento físico con la comunidad Spinning® en Facebook y Instagram.